In the vast dry forest of the Gran Chaco, a large, gray raptor sits perched in a tree seeking out its next meal. The impressive creature is the Chaco eagle, a crested eagle with a six-foot wing span. Formerly known as the crowned solitary eagle, the Chaco eagle ranges from eastern Brazil and Bolivia south to central Argentina. It inhabits open and semiopen habitats consisting of grassland, savannah, marsh and open woodland areas, unlike its closest relative, the montane solitary eagle, which lives only in dense mountain forest. In the southern portion of its range, the Chaco eagle is dependent on large trees, which are used for nesting and resting. The Chaco eagle feeds primarily on small to medium-sized mammals, including armadillos and skunks, and reptiles, hunting from a low perch near dawn or dusk. In fact, the bird of prey is known for its sluggish behavior during the day, and is believed to be largely crepuscular in activity (active primarily during twilight). Considered a relatively tame species, the Chaco eagle is usually found solitary in pairs or in groups of three individuals. It nests in trees, building a large platform-like nest of sticks lined with leaves. During incubation, the female eagle spends most of her time caring for the chick while the male provides the food to the nest. Once hatched both parents care for the chick until it leaves the nest. This striking species plays a key role in a healthy-well balanced environment. Feeding at the top of many food chains, the Chaco eagle balances populations, and helps manage diseases by consuming carcasses and weak or sick animals. Yet the species is listed as endangered due to low population density and number of threats faced by the species. The most prevalent threats to its survival appear to be increasing rates of deforestation, ranching and agriculture. The presence of large trees (such as the Chilean palo verde) is an important element in its habitat. Nature and Culture International is working towards protecting the Gran Chaco, one of the Chaco eagle’s principal habitats – and we’ve made significant progress! Last year, with our partner Fundación Natura, we created Heroes of the Chaco reserve protecting more than 600,000 acres of Chaco dry forest in southern Bolivia. In addition to the Chaco eagle, this area protects habitats of animals such as the guanaco, tapir, jaguar and anteater. 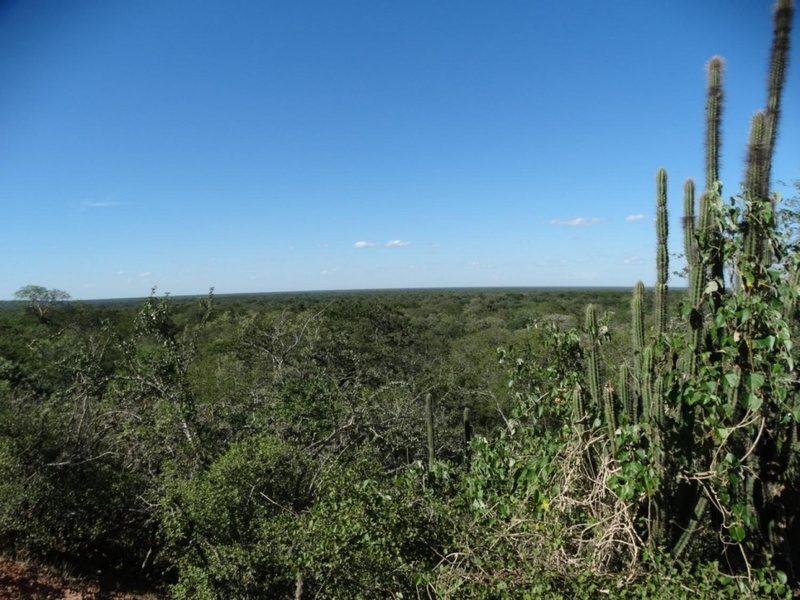 Now, we’re working with Nativa Bolivia to establish a new reserve in Santa Cruz, Bolivia. The reserve will protect more than 2.5 million acres of dry Chaco forest, and establish critical connectivity between two existing national parks. Build a better world for all birds by supporting Nature and Culture. Did you miss our last featured bird? Learn about the recently discovered blue-throated hillstar here.